La, la, la! Shake up your story time with these twelve sing-along songs based on classic tunes kids already know and love. 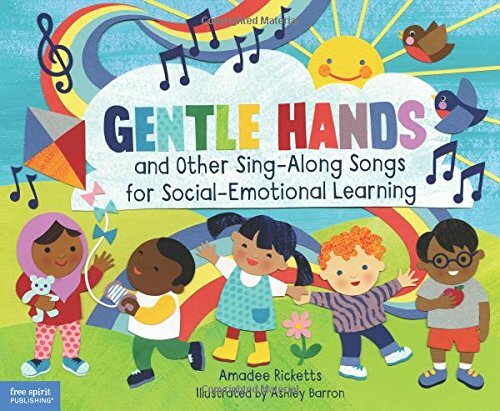 This beautifully illus­trated songbook teaches important social-emotional skills for everyday life. Favorite songs like “Frère Jacques” and “B-I-N-G-O” get turned on their heads with new, easy-to-remember lyrics offering lessons on how to manage anger, asking for help, what to do when you’re afraid, being a good friend, when to use a quiet voice, and many others! Digital content includes downloadable sheet music for all songs. If you have any questions about this product by Free Spirit Publishing, contact us by completing and submitting the form below. If you are looking for a specif part number, please include it with your message.